Premier Technology Group has signed on with Frankel Building Group to install energy efficiency systems into 57 of its new homes in The Woodlands-area housing community of Houston’s ParkGate Reserve. The partnership provides built-in energy management systems for new homeowners to manage energy usage and consumption. 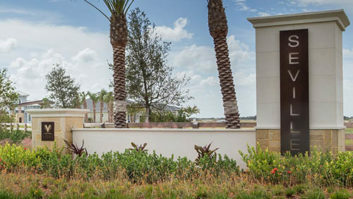 An artist rendering and construction photo of a green home built by Frankel Building Group in a partnership with Premier Technology Group in Houston, Texas. Premier is working with Frankel to plan, implement and install the technology management system into the new homes, which will include a Crestron Prodigy system that manages audio/video equipment, lights, thermostats, and security. The system can be accessed and managed through touchpanels as well as via a homeowner’s personal computer. Also, products can be installed without running a great deal of additional cable, and can be expanded by the homeowner to create a complete control system to sustain future technology, according to the partners. The advancements and benefits of energy management technology in recent years have put Premier, which was founded in 2003, in a position to further enhance the needs of their customers, providing flexible and convenient control system package options, the company said. Frankel Building Group is family-run, full-service, custom home boutique that has built custom homes in the finer neighborhoods of Houston for more than 20 years.